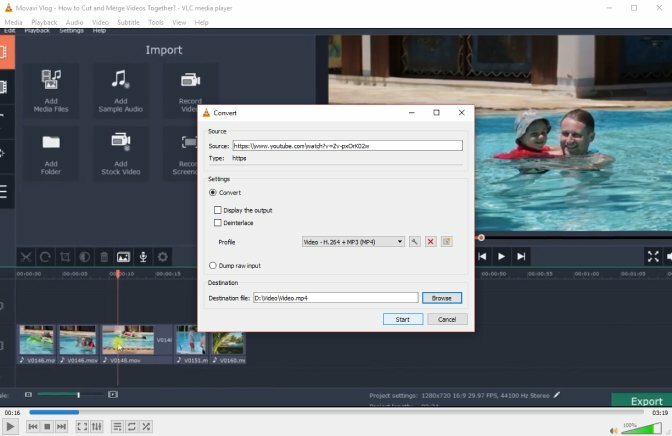 How to trim a video in VLC? Want to learn more? Read this article! People edit videos for various reasons, some for reference purposes where cogent and direct information is required, a portion of a clip might address a topic of note needed for professional use such as a presentation or an advertorial video on SnapChat and YouTube Channels. Other reasons may be for personal, entertainment purpose, a lousy portion of recording might be ruining a family video, or an uninvited cast appears in a private record, exclusion of such parts is possible using useful and less complicated software such as the VLC and Movavi Video Editor. 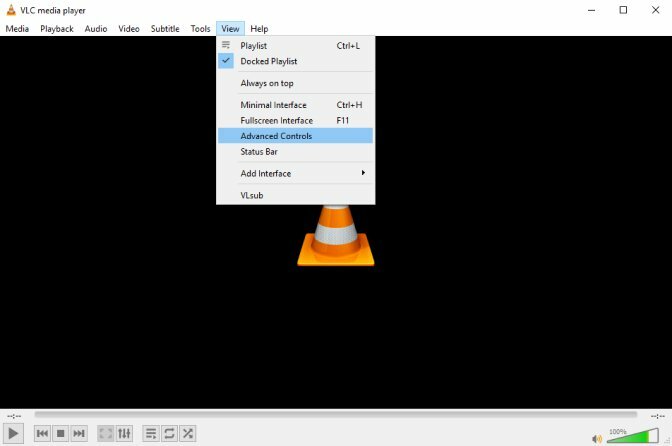 VLC is a fast and effective free masterpiece software by the VideoLAN Organization; it is one of the oldest and widely used media players, with over a decade constant software update being consequential for its smooth and efficient usage. 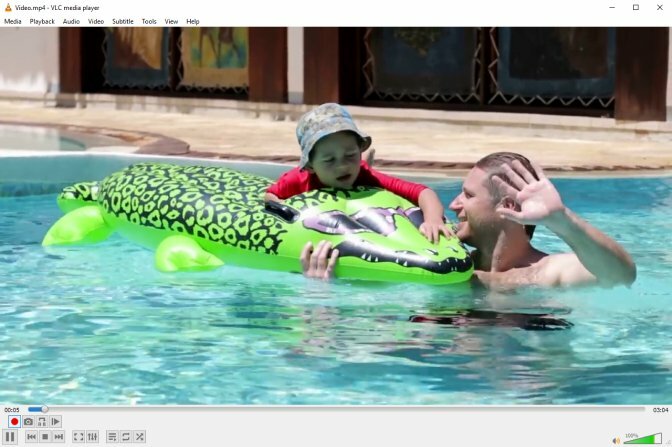 Many people only use the software to play a video file but are not aware of how to trim video in VLC; a positive feature of the VLC software is that it also offers trimming/cropping tools to complement the viewing experience of its users. It can be useful when there is a need to shorten recorded videos, audios, movies and a host of other video file formats. VLC is compatible with diverse operating systems such as Linux, Windows, iOS, Mac OS X, Android Windows, Unix, Ubuntu, there is little difference in how to trim video in VLC for most OS, no wonder the player has lasted for so long and still in vogue. Container format: MPEG-2, 3GP, MP4, FLV, VOB, RM, Raw DV, SVCD, QuickTime File Format, VCD, DVB, MXF, Matroska(MKV), DVR-MS, DVD-Video, PSV, PS, TS, ES, ASF, AVI, DVD-Video. Video file formats: MPEG-1, MPEG-2, MPEG-4, MJPEG, Real Video, ProRes, DNxHD, Sorenson, VC-1, Cinepak, DV, Theora, VP9, VP8, VP7, VP6, VP5, Dirac, H.263, H.264, WMV, HuffYUV. Files are of different formats. Therefore, it is imperative when trimming videos in VLC to ascertain that the file format is compatible with the VLC player; data can be of soft and hard copies or may require streaming which poses a challenge to most users. Input Format: FLV, MPEG-2, MP4, OGM, ALAC, RM, SCVD, MKV, Mod, AAC, MP3, Raw DV, AIFF, CD Audio, AC3, MIDI, WAV, AMR, VOB, MACE, VCD, DVR-MS, Raw Audio, XM, DTS, OGG, 3GP, ASF, RM, Quick Time Format, DTS, DVD-Video, DVB, FLAC, MXF, It, AVI, DV Audio. Streaming for generating clips to cut/trim for other functions might require more time and patience on high traffic sites such as YouTube; it boasts of millions of views per second from its vast base of users around the world. Therefore, there is a constant update of comment, ads, and contents. VLC can be useful in the stated situation; it requires copying the URL of the webpage and pasting it in the Network Streaming section of the VLC. Use Ctrl+N for Windows or Crnd+Shift+W for Mac when using the shortcut option, after pasting the URL/link in the streaming/export field and the ENTER button is selected, the video automatically starts to play. Save the file and secure for the next step, however, the saved playlist will only work after installation of the VLC extension add-on. 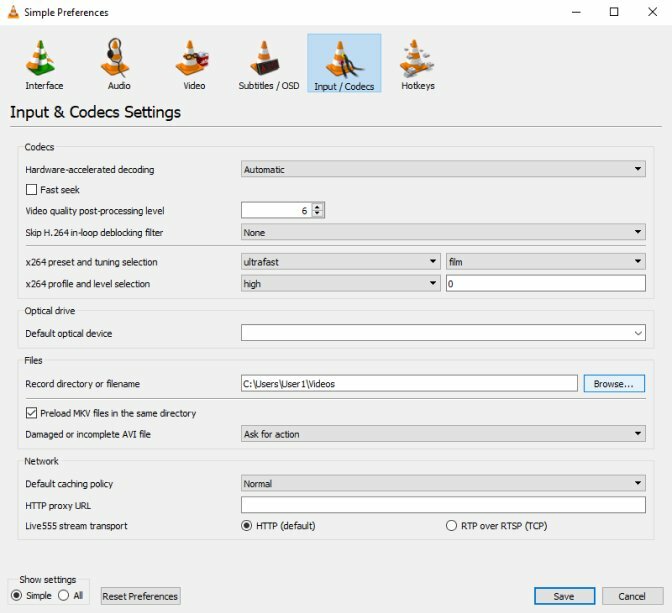 The next task before trimming videos in VLC requires you to save the streamed files, copy the collected data from the VLC player and paste in respective folders for different types of Operating Systems. Mac OS Mac OS X (all users)/Applications/VLC.app/Contents/MacOS/share/lua/playlist/. 1. Select the advanced control feature from the view bar located on the VLC player screen. 2. A record bar will feature on your control buttons. 3. Choose the Preferences Dialog Box to choose in the VLC Menu, under Record Directory; there is an option to select and save the desired location for generated files. Cognizance of saved locations is necessary because of easy identification for future purposes. 4. Add and open a selected video that you intend to trim by dragging and dropping it on the VLC player main window. 5. Use the playhead to navigate or allow the video to play to the exact point that you want the cutting action to begin and click on the record button or use the Shift+R keys for a short link; Recording will show on the player to indicate a recording process. 6. Navigate using the playhead or click the record button once again after the video reaches the predetermined stopping time or click the Shift+R keys short link, a prompt indicating Recording done will display on the screen after a successful recording. 7. Optionally, select the Some More option in the dialog box and insert the starting time (previously noted) in the extended options. However, there is no option for the finish time; therefore, repeat the process to select a stopping time. To conduct a natural search for a trimmed video, VLC customizes the name of generated data such as vlc-2018-09-17- 8h14min-6s-vlc-streaming-audio.avi-., another easy method of identifying saved data is by visiting the default folder or my files folder on Windows OS. The data collected as an MP4 file format can later change to various available formats at the discretion of the operator. VLC produces most of the relevant and widely accepted Output formats such as AVI, WAV, MP4, MP3, FLAC, MKV, PVA, ASF, Ogg, MPEG-2, AC-3, AAC, MPJPEG, Fraps, TS, DV Audio, FLV, WebM, PS, and Quick Time Formats. The Movavi Video Editor renders a complete editing solution, its design is to meet simple and complex editing requirements such as trimming, converting, and high definition file output to suit the taste of its user. This editing software has numerous options such as adding captions, filters, audio tracks, and special effects that are scarcely available to other software that provides joint services such as video/audio player and editing options. 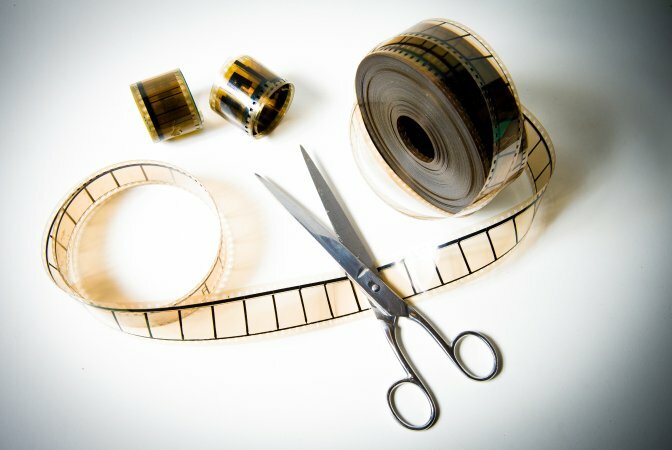 If you are in need of substitute software to the VLC editing tool, the Movavi Video Editor provides a remarkable trimming experience with little effort and expertise, by following an open, split and cut and save file procedure, files of various formats is alterable to suit a purpose.